cPanel/WHM is a graphical web-based hosting control panel which makes creating and maintaining websites on your VPS a lot easier. 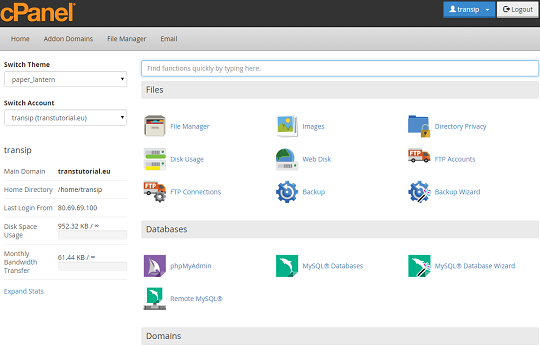 WHM can be seen as an administrative management interface for your cPanel VPS. With WHM you can easily create account and maintain all (server) settings. Through cPanel you can control all websites, mail addresses and FTP details. The cPanel image we offer uses CentOS (7) as underlying OS. For more information you can check out our cPanel page, the website of cPanel itself, or our cPanel tutorial series.